Non-secure transaction fees are one of those ‘extra’ costs that you don’t notice. Or, more precisely, it’s a cost that your merchant acquirer hopes you don’t notice. With the interchange fee caps introduced in 2016, acquirers have had to find less obvious ways to increase your fees rather than just push up your debit and credit card rates. And increasing your non-secure transaction fee was an obvious choice. Every time you process a transaction over the phone, without chip and PIN or without using 3DS, you will pay a non-secure transaction fee in addition to your normal charges. And that charge, whether you’ve noticed or not, has likely increased during 2018. With fees steadily creeping, I conducted a small investigation to discover which acquirers represent the best value for merchants. 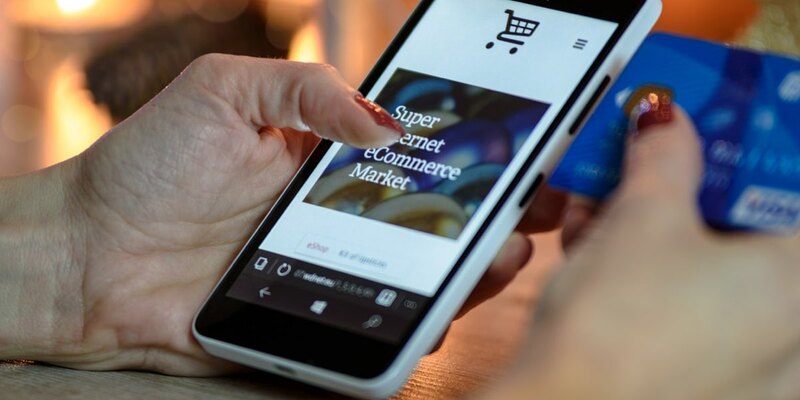 For face-to-face transactions and e-commerce transactions, the definition of ‘non-secure’ is relatively simple and consistent across the industry. Face-to-face transactions: Any transaction that does not use chip and PIN or contactless. So, for example, if a card is swiped using the magnetic strip, the 16-digit card number is manually entered or an imprint is taken using a counterfoil which the cardholder then signs. E-commerce: Any transaction which does not use 3DS (or Verified by Visa or Safekey in the case of American Express). For most acquirers, the use of 3DS is mandatory in any event. For cardholder-not-present (CNP) transactions (over-the-phone transactions or where the cardholder is not physically present and the merchant enters the card details into a physical/virtual terminal) the definition is less consistent. It used to be the case that non-secure CNP transactions were defined as those where the CVV2 number (the one on the back of the card) and/or the cardholder address (AVS checked) were not entered. Whilst that remains the case for some acquirers, others take a more draconian view and classify any CNP transactions as non-secure regardless of the CVV2/AVS information provided. That’s all well and good but you might still be wondering, “Why does it matter if a transaction is classed as non-secure?” Well, for starters, there is a liability shift. In other words, non-secure transactions affect who is liable in a fraud situation. The rules are complex but generally the more “secure” the transaction, the less likely the merchant is to be presumed liable for the resulting chargeback. The second and more common difference is in the payment processing cost. With most acquirers, non-secure transactions incur an additional charge which can be quite significant if your business processes a lot of transactions over the phone or online without 3DS. Negotiating a low headline transaction rate is fantastic but if every transaction you process gets slapped with a large non-secure charge, you’ll quickly find that you’re not on the cheapest available tariff. Merchants should always take non-secure charges into account when selecting an acquirer. Who’s the cheapest for CNP non-secure fees? There are two factors to consider when assessing a provider’s pricing, both of which I touched on above. Here’s a quick recap if you missed them. To save you several hours of research, I contacted the UK’s main acquirers to ask about their definitions of non-secure and the extra charges they levy. Here’s what they told me. After looking over the information, I have a handful of observations. Lloyds Cardnet is the standout winner, charging no additional fees for CNP transactions. A word of caution, though. If you are a predominately CNP merchant, Lloyds Cardnet will factor this into your headline debit and credit rate, which will be higher than a comparable face-to-face business using chip and PIN. Do acquirers profit from CNP non-secure fees? The short answer is yes, very much! In total, non-secure transactions cost an acquirer approximately 0.05% more than an equivalent secure transaction. In the table above, only Allied Irish Bank passes on this additional cost without any profit margin and Lloyds Cardnet actually takes a loss by not charging additional non-secure fees. All of the other acquirers use non-secure transaction fees as a profit driver. Interchange: Only two domestic card types have higher interchange for non-secure transactions: Visa Business Debit (+10p) and MasterCard commercial cards (+0.4%). As these card types make up less than 5% of all card transactions, increased interchange on average only adds a couple of basis points to acquirer costs (0.02%). Card Scheme Fees: Card schemes (Visa, Mastercard, etc.) do charge acquirers more for non-secure transactions. However, this differential is only around 0.01–0.02% depending on the card type. Like the interchange differential, the card scheme fees are fairly small. Risk: This is de minimus but included for completeness. Non-secure transactions are riskier and therefore fraud losses will be higher than secure transactions. However, as most of these losses are pushed back to the offending merchants, this is not a significant cost when spread over the acquirers’ total merchant portfolio. My advice is simple. If you process non-secure transactions and particularly CNP transactions, be very sure you understand both what constitutes a non-secure transaction and the additional fees involved. Not knowing, could add a material amount to your monthly card processing bill!